The Kenai River is located in Soldotna, Alaska just 145 miles south of Anchorage. 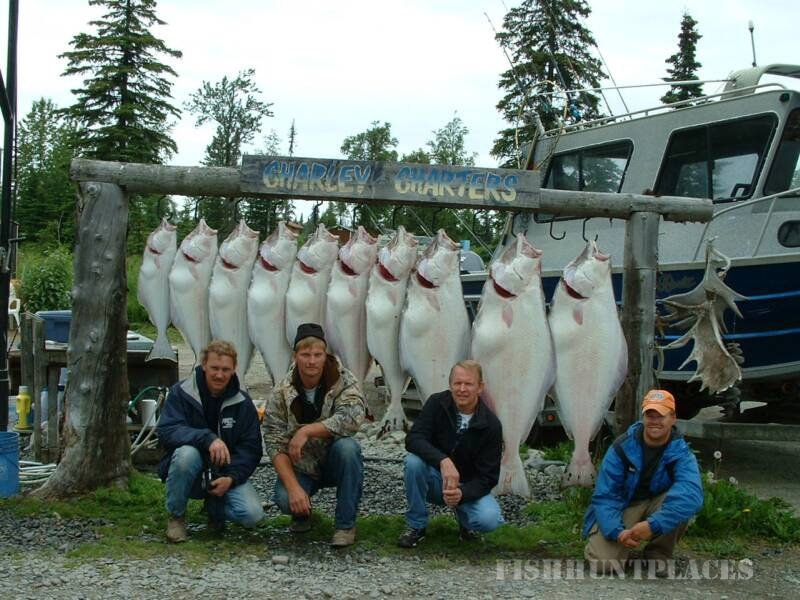 The Kenai river is known for the best fishing in the world. 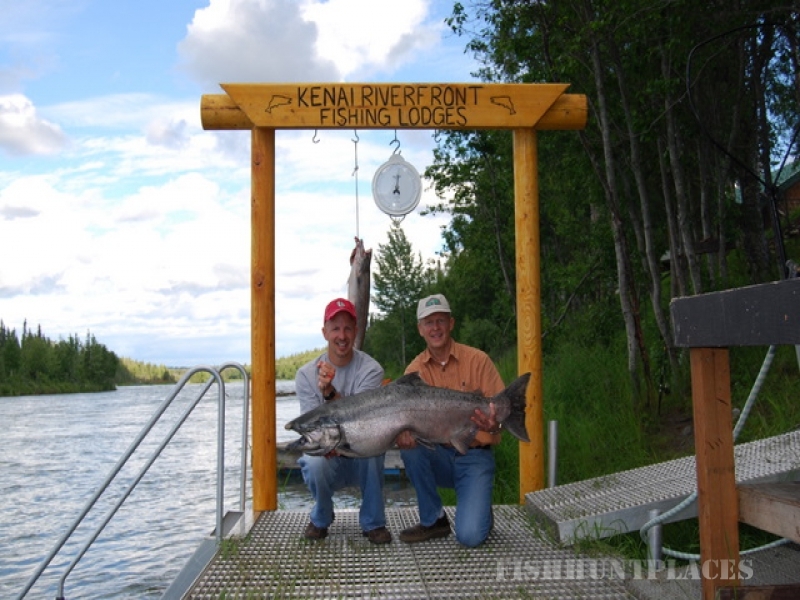 The Kenai river holds the World Record for the largest King Salmon ever caught weighing in at over 97 lbs. 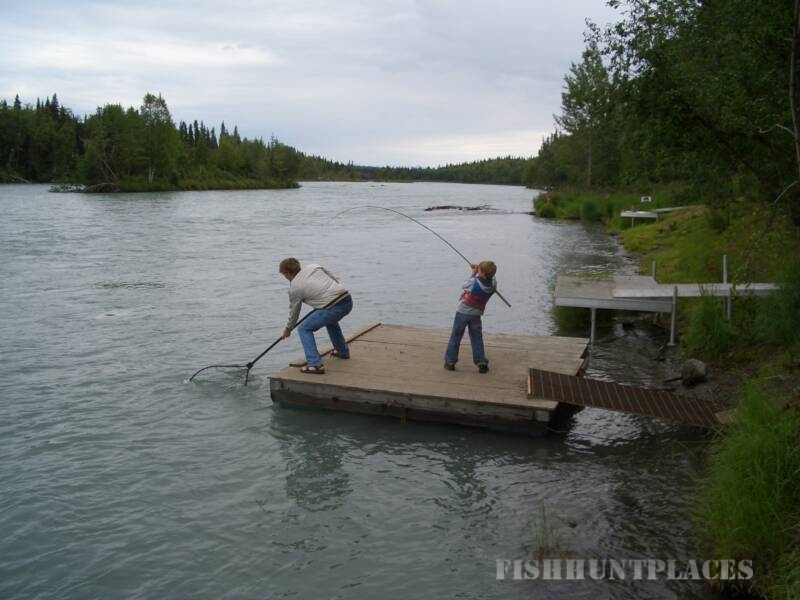 On the Kenai river it isn't a matter of how many fish you can catch but HOW you catch fish. You can practice your spin casting, fly fishing, charter a fishing expedition, or you can even net a few fish. 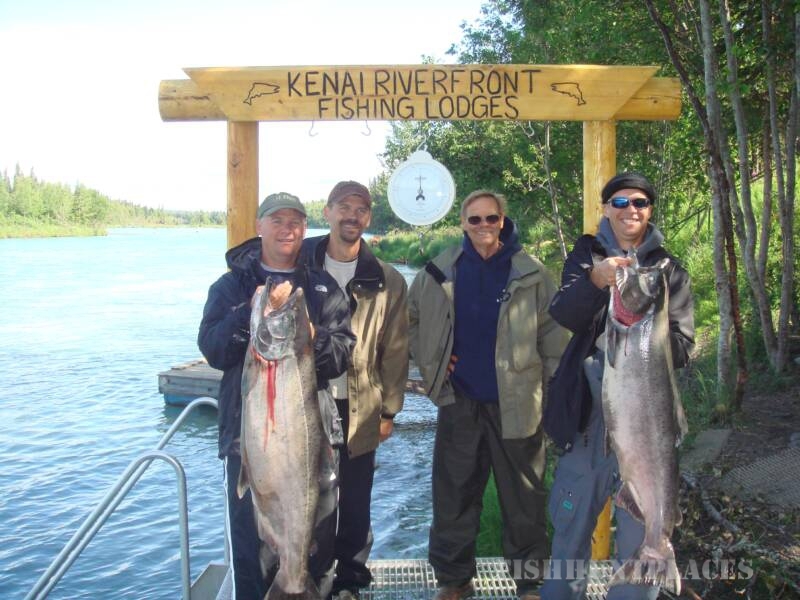 All from your own private riverbank on the Kenai river. 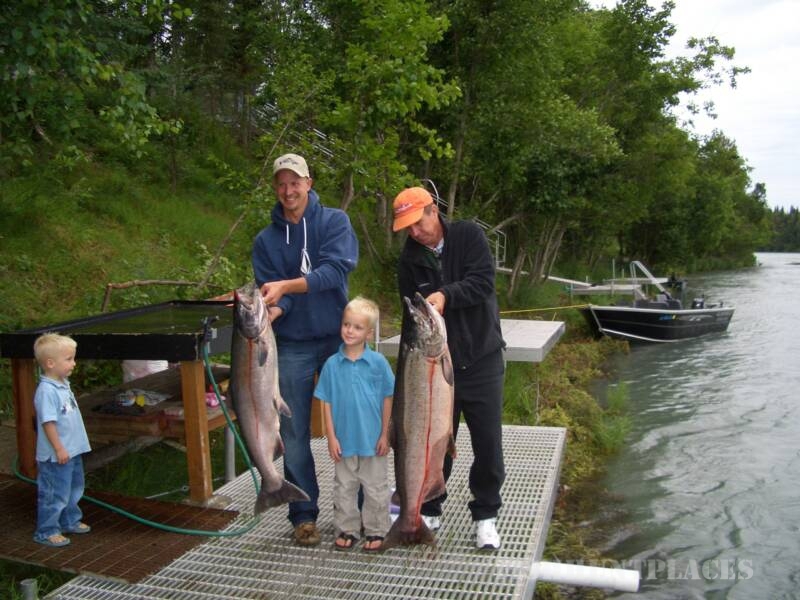 The Kenai river carries many species of Salmon - Chinook, Coho, Sockeye, Silver trout, steelhead, and pinks. Enjoy the beautiful surroundings of the outdoors and enjoy watching moose walk across your front door and eagles soaring directly above while fishing on the Kenai river.